Unlike other publications, this new book offers a different approach to the study of electromagnetic compatibility (EMC). It emphasizes the understanding of relevant electromagnetic interactions in increasingly complex systems. Mathematical tools are introduced when pursuing the physical picture unaided becomes counterproductive. In order to handle complexity, numerical tools are developed and the basis and capabilities of these tools are presented. Part I of the book covers underlying concepts and techniques. This includes discussions on electromagnetic fields, electrical circuit components, and electrical signals and circuits. The second part deals with general EMC concepts and techniques and will be useful for predicting the EMC behavior of systems. More practical techniques used to control electromagnetic interference and the design of EMC into products are presented in Part III. 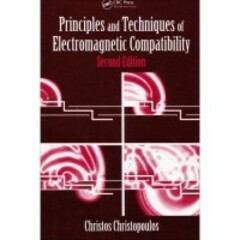 The main EMC standards and test techniques are described in the final part of the book. Chapters are designed to allow readers to study the entire book at a pace which reflects their own background and interests. The book appeals to both EMC applications-oriented and analysis-oriented readers. This text provides useful source material for a serious study of EMC, including references to more advanced work.